I used joyofbaking.com's red velvet cake recipe as I am familiar with it. For the frosting, I was drawn between the classic butter cream and coconut meringue butter cream. My initial plan was go with the classic butter cream . Thinking of the list of treats for the two weddings that week, not to mention the things I do as part of my daily workload (We had 95% occupancy so imagine doing it all on my own) I thought I could really save the extra minutes if I stick to the classic butter cream. Thing is I dislike the gritty feel of icing sugar . As I was contemplating, I remembered the time when I got the chance to talk to the bride. She challenged me to surprise her. It was a three tier FONDANT covered cake she wanted. From baking and frosting the cake to covering them with fondant, I knew it would take longer time to make. (I colored the fondant a few days early, thank goodness) But being someone who wants every thing perfect, I ditched the thought of wanting to get it done fast. I focused more on getting the best result So I went for coconut meringue frosting. It took me ages to finish but my decision did not disappoint. 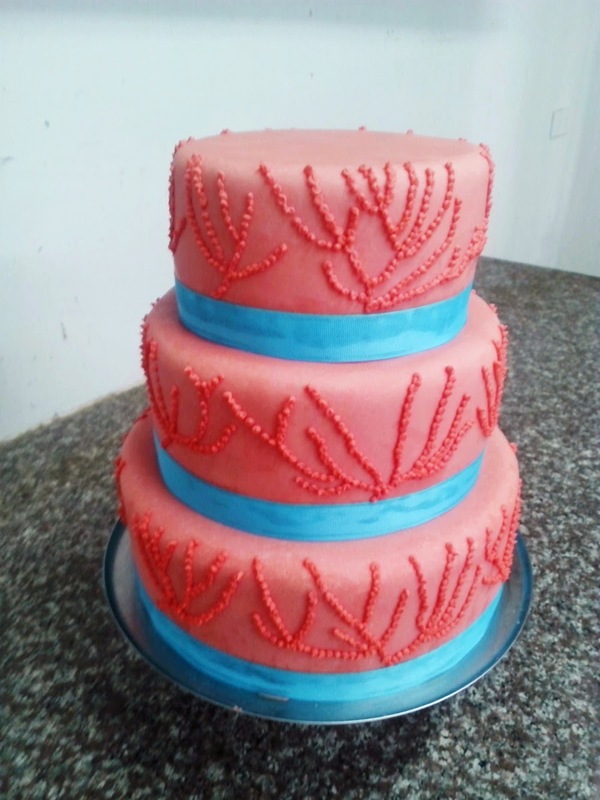 The silky smooth texture of the coconut frosting complemented the soft and moist red velvet cake. The bride loved it.